Bourbon Balls | Rosetta Bakes! Melt chocolate morsals in microwave, check every minute. Stir in sugar and syrup. Blend in bourbon. combine wafer crumbs & nuts. Add chocolate mixture & Bourbon. 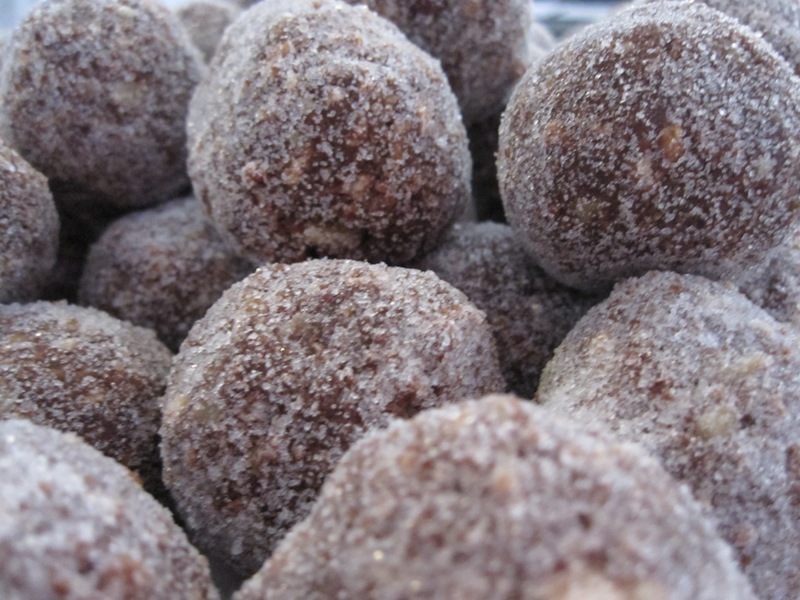 Form into balls (1-inch) roll in sugar—PLace in a tightly closed container. KEEPS 3-4 weeks…bourbon balls get better after a few days.